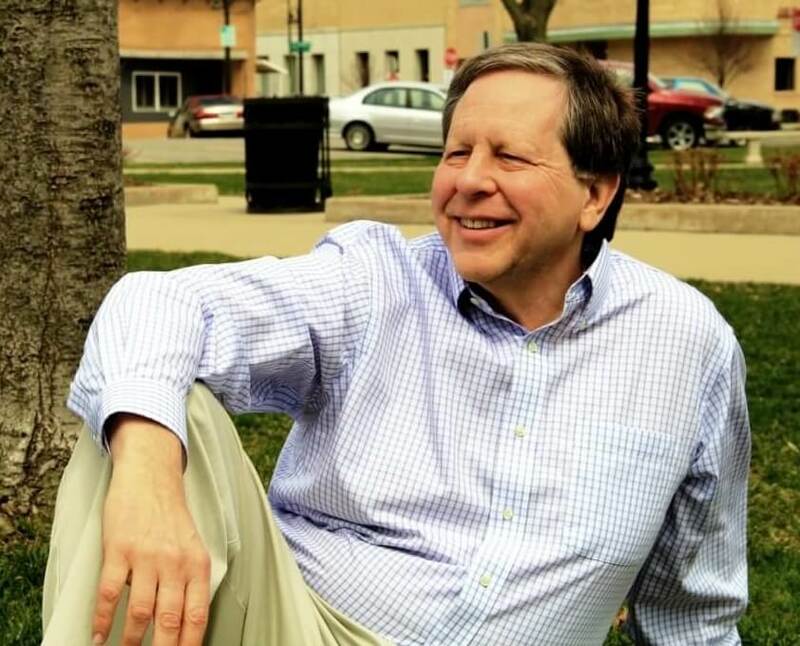 Hal Goldstein spent his first 35 years traveling, earning 3 masters degrees, and working as a social worker, software engineer, and teacher of Transcendental Meditation. In 1984 Hal and his wife Rita moved from Palo Alto, California to Fairfield, Iowa to participate in a world peace project based on the TM technique. In Fairfield Hal and Rita, started Thaddeus Computing which supported mobile computing users with magazines, apps, and refurbished devices. The company created magazines for HP, Microsoft, and Apple mobile computer users. Hal semi-retired in 2011. Today the company publishes internationally distributed iPhone Life magazine and hosts the popular iPhoneLife.com website. 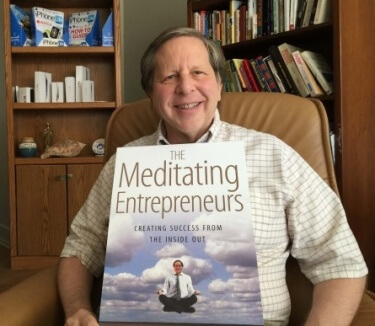 Currently, Hal is writing a book The Meditating Entrepreneurs about the TM meditators who started businesses after heeding Maharishi Mahesh Yogi’s 1979 call to move to Fairfield. The book and MeditatingEntrepreneur.com website (shortcut hal.tips), are based on the course Hal teaches at Maharishi University of Management where guest Fairfield entrepreneurs share their stories and wisdom. 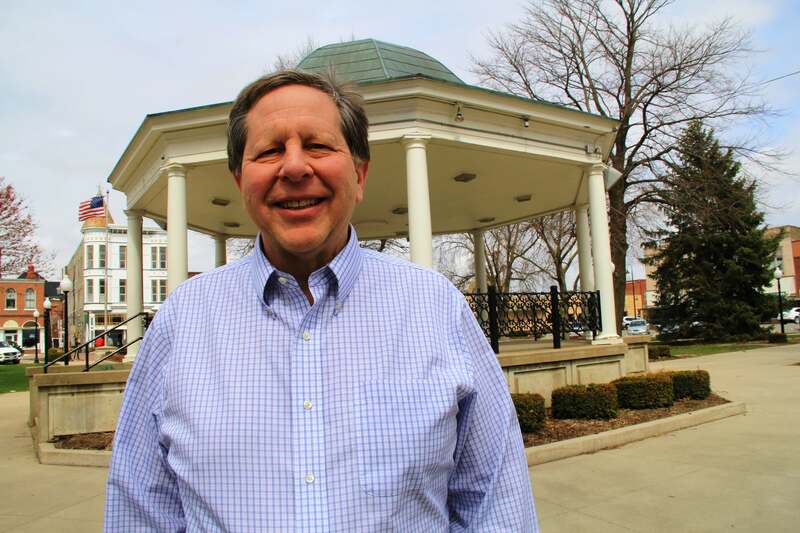 Hal Goldstein grew up near Chicago and in 1970 graduated from the University of Wisconsin. He then spent a year hitchhiking through Europe and North Africa. In the 1970’s, he earned Masters Degrees in “heart, mind, and spirit” — Social Work and Computer Science from the Universities of Wisconsin and Illinois and Interdisciplinary Studies from Maharishi International University. 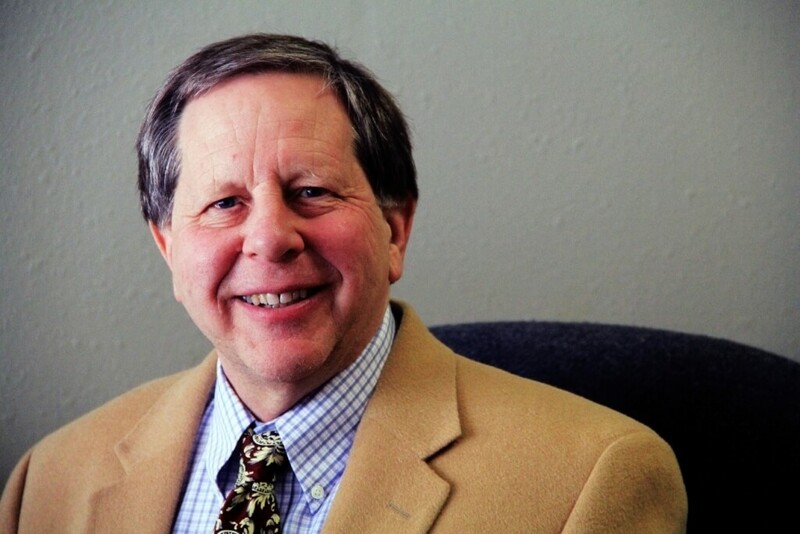 Subsequently, Hal counseled individuals as a social worker, worked for Hewlett-Packard as a software engineer, and taught Transcendental Meditation. In 1984 Hal and his wife Rita honeymooned by driving from Palo Alto, California to Fairfield, Iowa to be a part of Maharishi Mahesh Yogi’s world peace project. There, several thousand individuals practiced Transcendental Meditation daily together in two huge domed structures. Like many of their fellow meditators, Hal and Rita started their own business so they could stay in Fairfield. In 1985 Hal and Rita founded Thaddeus Computing which supported mobile computer users with magazines, apps, and refurbished devices. The company, which averaged between 15 and 20 employees, published internationally circulated magazines about Hewlett Packard laptops and palmtops through 1999. From 1998-2008 it produced Smartphone & Pocket PC magazine to support Microsoft Windows Mobile users. 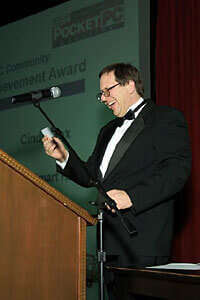 In 2008 Thaddeus Computing launched iPhone Life magazine, which today can be found at newsstands worldwide. Its popular website iPhoneLife.com receives 2 million monthly page views and offers free daily email tips. July 2011, Hal semi-retired and divided Thaddeus Computing into separate businesses run by former Thaddeus Computing employees. 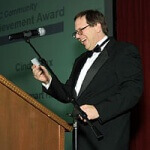 As a partner in iPhone Life magazine, Hal consults and writes a column. Part-time employees run the other company, UsedHandhelds.com, which buys, sells, and repairs legacy mobile devices. 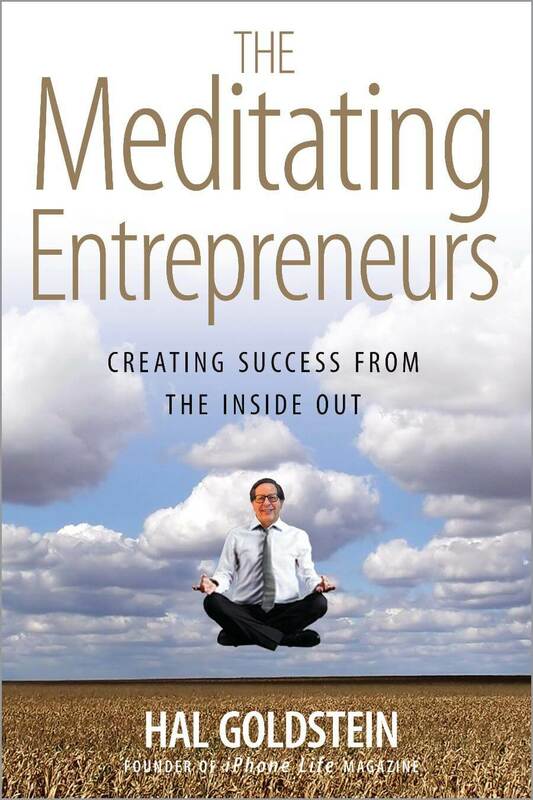 Currently, Hal is writing a book The Meditating Entrepreneurs – MeditatingEntrepreneur.com about the entrepreneurial journey and wisdom of TM meditators who responded to Maharishi’s 1979 call to move to Fairfield. (Shortcut to website: hal.tips). The book and website, are based on a course Hal teaches at Maharishi University of Management, The Successful Entrepreneur, where guest Fairfield entrepreneurs share their stories. 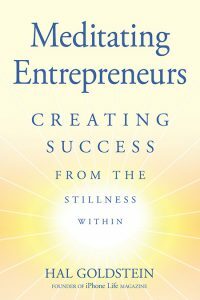 In the first volume of The Meditating Entrepreneurs, 15 Transcendental Meditators in rural Iowa, committed to their inner development and world peace, share their stories and wisdom about how they started and ran successful businesses. In the first volume of The Meditating Entrepreneurs, 15 Transcendental Meditators from a remarkable rural Iowa entrepreneurial community of seekers and idealists share how they created extraordinary businesses from nothing. Thousands moved to Fairfield, Iowa to meditate together as part of Maharishi Mahesh Yogi’s world peace project. To survive, many started businesses. These entrepreneurial journeys teach and inspire. They demonstrate that anything is possible and that abundance can be created without giving up core values. They show that truth-seeking, self-awareness, and social good are synergistic, not antithetical, to creating material success. This book is written for people committed to their personal evolution and view successful entrepreneurship as part of that self-development process. In Fairfield beginning in the 1980’s, hundreds of meditators started small businesses even though many had been anti-establishment hippies who knew nothing about business. Some businesses failed. Others succeeded but stayed small. Still, others ended up being sold for hundreds of millions of dollars. The book is based on transcripts of Fairfield entrepreneurs speaking to Maharishi University of Management undergraduates. The entrepreneurs describe how they started, grew, and led their business. Then they share the lessons they learned along the way and what they consider the essence of their success and wisdom. Each story differs and stands alone. Different readers will identify with different entrepreneurs. When the stories are read together, common themes emerge, knowledge increases, and inspiration grows. Steven Winn made, lost, and made again millions of dollars. Message: “Stamp your intentions on the infinite? What did Thaddeus Computing do? How was it as a small company dealing with HP, Microsoft, and Apple? What was it like starting it with your wife? How did meditation help you running a business? How and why did you exit the business? How is the business doing now? What’s the difference in how you ran it and how your millennial partners run it? What were some of the businesses that the entrepreneurs created? What did all the entrepreneurs share in common? How Is TM different from other forms of meditation? What have you gotten out of meditation? What was it liking shifting from social work to computer science to teaching meditation? What is your “retirement” like?